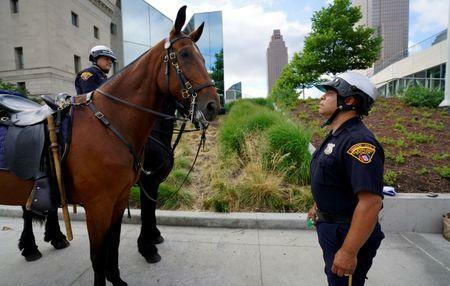 CLEVELAND (Reuters) - Police in Cleveland say they aim to avoid mass arrests at the protests planned for next week's Republican National Convention, but preparations by the city's courts to process up to 1,000 people a day have some civil rights activists worried. Thousands of people from across the country are expected in the city to protest the expected presidential nomination of New York businessman Donald Trump, who has vowed to build a wall along the U.S.-Mexico border and restrict immigration from countries with large Muslim populations if elected. Supporters and opponents of Trump have clashed at several of his campaign events. Police have vowed to honor protesters' rights of free expression, which are protected by the First Amendment of the U.S. Constitution, and avoid mass arrests. 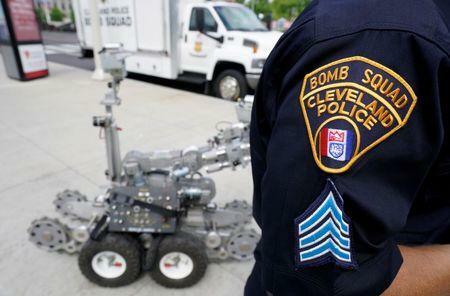 "We don't want anybody to trample on anybody else's rights," Cleveland police chief Calvin Williams told a news conference on Tuesday. But memories of recent heavier-handed approaches are fresh in the heavily Democratic, majority black Ohio city of 388,000 people. "I don't want to be a naysayer here and rule out the possibility that everything is going to be hunky-dory ... but knowing how the Cleveland Police Department has handled situations in the past, I just don't have confidence that it's going to work," said Terry Gilbert, an attorney who has handled criminal and civil rights cases in the city for more than four decades. "Until I see the actual situation next week, I'm going to be worried," Gilbert said. Gilbert pointed to the May 2015 arrests of 71 people following the acquittal of a police officer who fired 137 shots following a high-speed 2012 car chase, killing a black man and woman. 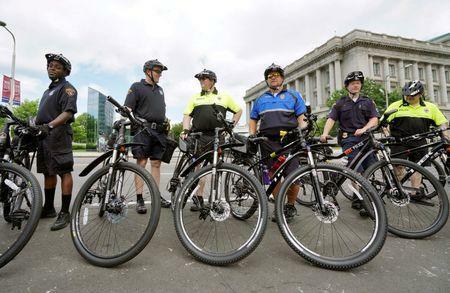 The arrested protesters were held for more than 36 hours over the Memorial Day weekend, and four alleged in a lawsuit brought by the American Civil Liberties Union that police intentionally kept them in custody longer to prevent the protest from reforming. Cleveland paid $250,000 to secure 200 extra rooms in the Cuyahoga County jail, according to the Republican National Committee budget. Cleveland Municipal Court officials said they would be ready to process a large volume of people quickly, with staff scheduled to work in two 10-hour shifts keeping the court operating from 5 a.m. to 1 a.m. each day. "We are ready," said Ed Ferenc, a spokesman for the court. "We'll have staff here till 1 a.m. If we have to do a docket at 10:30 at night, we'll do it." The United States has seen hundreds of protests over the past two years following a series of high-profile police killings of black men. The vast majority of the protests have been peaceful, although they have been punctuated with bursts of rioting, arson and looting. The ACLU plans to be out in force to ensure that people are not arrested for legal protests, said Christine Link, the group's executive director in Ohio. "Let's not equate a lot of protesters with violence," Link said. She noted the group would be keeping careful watch on the whereabouts of anyone arrested to ensure they are charged and released quickly. At the 2004 Republican National Convention in New York, hundreds of protesters were swept up and pushed into pens on the Hudson River. With temperatures expected to reach 90 degrees F (32 C) most days, the health of detainees will be a concern, she said. "What we're worried about is that they're not saying where they are booking people, they are being vague about it and that's not good," Link said. "That's an attempt to hide the cheese."